On March 1st, my youngest son and I had the pleasure of participating in FARE’s Food Allergy Advocacy Day at the Maryland State House which was quite an event! WHY WERE WE AT THE MARYLAND STATE HOUSE YOU ASK? IN SHORT, TO SAVE LIVES! 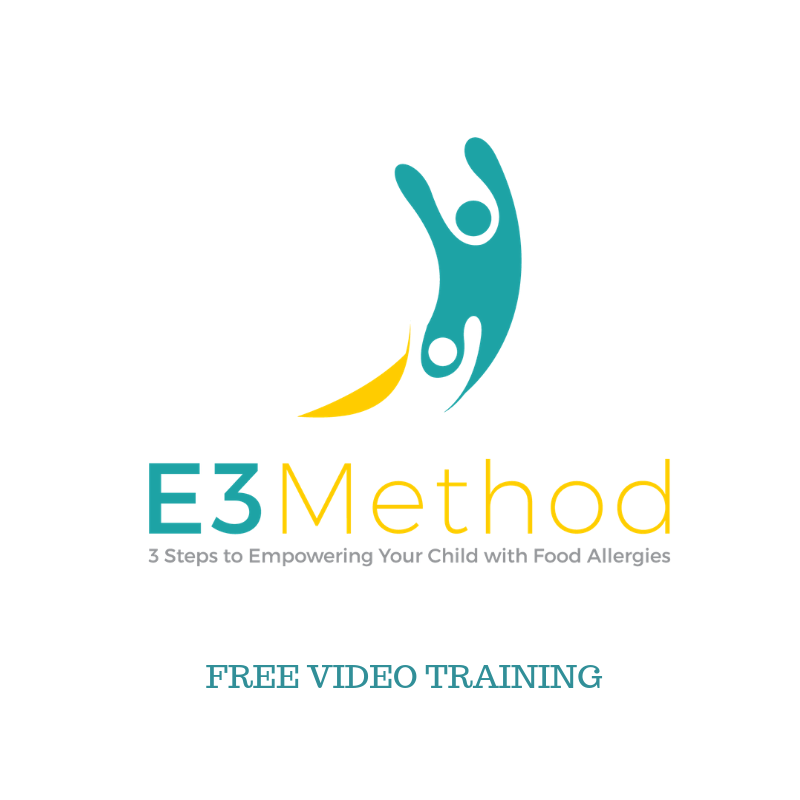 In Maryland, the prevalence of food allergies is approximately 9% which is among the highest in the United States. 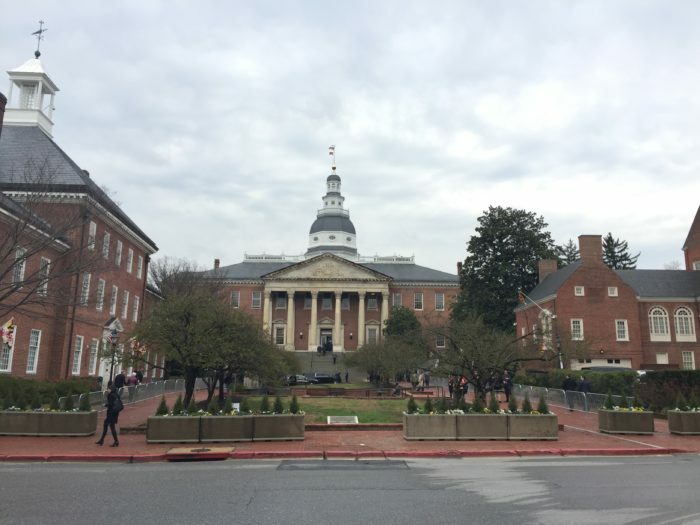 Specifically, FARE and many volunteers were in Annapolis to explain our connection with food allergies and to ask the Senators and Delegates to support SB965 “Public Entity Stock Epinephrine”. This important legislation, introduced by Senator Katherine Klausmeier, would allow specified public venues to have stock epinephrine available for anyone experiencing a severe allergic reaction. Stock epinephrine might save the life of a person having their first reaction or of a person who didn’t have an auto-injector on hand since early administration is crucial. 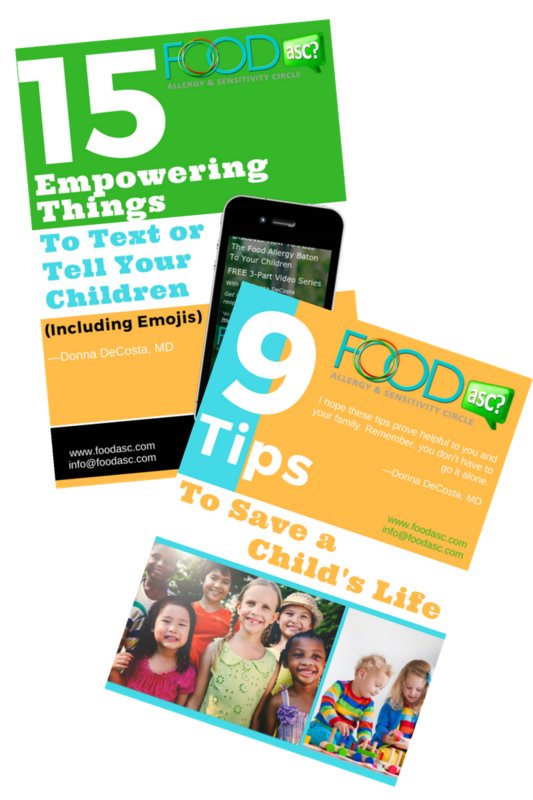 As the mother of two sons, one of whom is in college, this legislation is particularly important to me as it addresses teens who are at the highest risk for fatal food reactions. While Maryland is fortunate to have the law Public Schools – Epinephrine Availability and Use – Policy Requirements that passed in 2012 which requires public schools to stock epinephrine, the law does not allow stock epinephrine at colleges and universities or even at daycare facilities that care for our youngest children. SB965 would allow epinephrine at these public venues as well as amusement parks, sports leagues and food service facilities in addition to providing exemption from civil liability. Unfortunately, while at the Capitol, we were told that the bill had been pulled. Although disappointed, we continued to share our food allergy stories and concerns with the legislators and their assistants throughout the day who were very attentive, interested and compassionate. Even with the unexpected news, it was a worthwhile and fulfilling day. My son enjoyed meeting and sharing his first reaction story with Senator Astle (photographed below), Delegate Bromwell, Jenna Williams (Legislative Aide to Delegate Kelly), Rebekah Nickerson (Legislative Aide to Senator Hershey Jr.) and Kaila Thompson (Legislative Aide to Speaker Busch). The Advocacy Day proved to be an invaluable experience. I am hopeful that the bill will be reintroduced next session and that Maryland will join the other 30 states that have passed similar legislation. Many thanks to Jennifer Solomon, FARE’s Senior Associate of Community Engagement and Martha Crews, FARE Walk Manager for Maryland, for their hard work and dedication in organizing this very important event. I’d also like to thank the senators, delegates and their assistants in addition to the volunteer food allergy advocates including parents, students, physicians and attorneys. 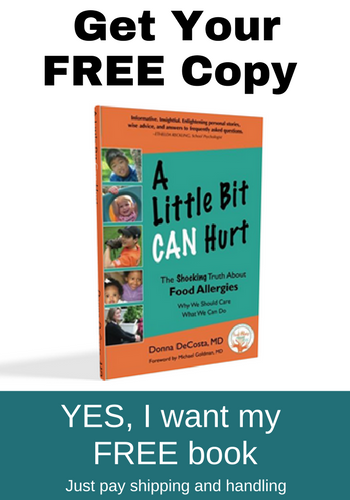 Does your state have a Food Allergy Advocacy Day? Have you ever voiced your concerns to your legislators? Tell us about your advocacy experience in the comments below. Brava! I’m very proud of how organized and well prepared you were for this important day. As the mother of a college student too, I watch the state my son’s attends college in–these laws matter. Thank you so much for your time and energy. It effects all of us in ways we can’t even begin to imagine. Thank you Caroline and thank you for all of your guidance. Your input was invaluable! I knew that given all of the advocacy work you have done, you could help me and my son with what to expect and how best to address the legislators. I took notes during our conversation and followed your advice. Thanks so much for sharing your experiences and suggestions.